NAMI | Piedmont Tri-County – Opioids And Substance Abuse: What Can We Do? 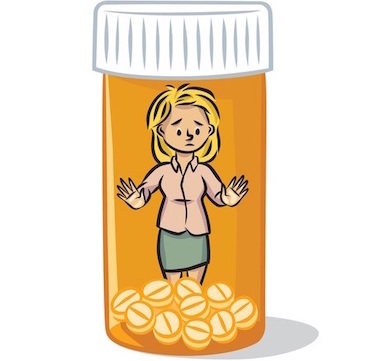 Opioids and other substances that alter how we feel, think and act have overtaken our culture, and have been declared a public health epidemic. We are losing our loved ones, friends, co-workers and neighbors to these substances. But we have yet to implement the solutions that will beat back this epidemic, as we have so many others, like HIV/AIDS, polio, smallpox and tobacco. Substance use and abuse—of opioids, heroin, cannabis, stimulants, alcohol, etc.—is universal and the casualties of drug addiction affect all classes, races and regions of the U.S. These substances are too frequently used as an answer to pain, mental and physical, and have become a cure-all for people who’ve fallen on hard times. That’s why so many people use them and that’s why so many people become addicted. Substance use disorders commonly co-occur with mental health conditions, especially serious mental illness like schizophrenia, bipolar disorder, depression, eating disorders, PTSD and other forms of trauma. People with mental illnesses often turn to drugs and alcohol to quiet their symptoms, and drugs and alcohol can adversely affect our nervous system and increase risk for mental illness. We are failing with this epidemic because of this country’s dogged attachment to policies and programs that have never worked for addiction. Vast sums of money continue to be wasted on campaigns of drug control and on public messages, especially for youth, that rely on scare tactics. We can and must do better. We can beat this epidemic with three public health approaches. Prevention. This includes school-based programs that provide youth with decision-making skills and methods of controlling their moods and impulses. One proven program is called the Life Skills Training. Prevention also extends to the family, such as “positive parenting,” or actively modeling and teaching children about positive behaviors. Big Brother/Big Sister programs—where an older youth of the same background takes on a younger, high-risk child—is also highly protective. These prevention programs work, and we have hardly started to apply them. Screening. Early identification of a problem means early intervention, before the substance use disorder becomes more firmly rooted. We have good screening instruments, (such as the Alcohol, Smoking and Substance Involvement Screening Test), and need to make them standard practice in schools, pediatric and family medicine offices. This public health epidemic that is seizing our country can be beaten. And by following these steps, we save lives, help families and restore communities. Dr. Sederer is a psychiatrist, public health doctor and medical journalist. His new book is The Addiction Solution: Treating Our Dependence on Opioids and Other Drugs(Scribner, 2018). www.askdrlloyd.com.